With the trencher you easily dig narrow trenches without damaging the ground in the digging area. It’s a fast way to dig trenches for pipes or cables. 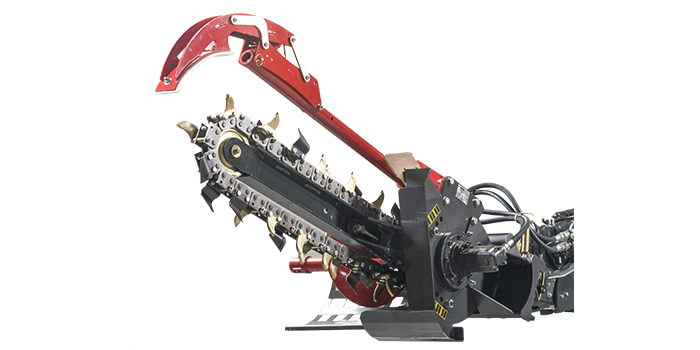 The trencher does a clean trench which can easily be filled with a bucket or a blade. The trencher is driven by a hydraulic motor via a planetary drive to ensure a long and trouble-free operation.